Hi guys, sorry it’s been a while but i’ve been busy with trying to find a job 😉 I had an interview last week and made it to the last 4 out of 230 candidates. Too bad but hey, chin up and move on! Also my beautiful girlfriend turned 29 last week which resulted in a few dinners and a big birthday bash 🙂 She blogs at SheelaghMairi.nl so check it out, it’s mostly in Dutch. 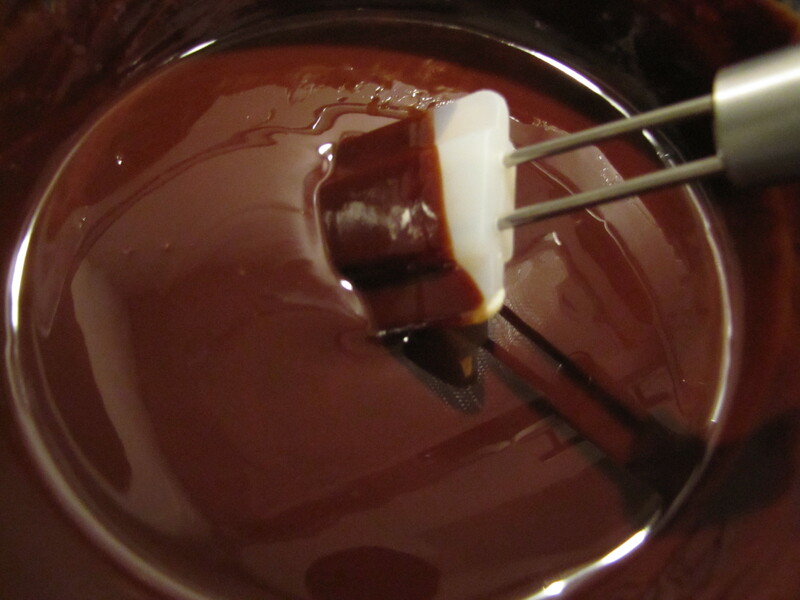 Put the sugar and butter in a pan with a thick base on medium heat and keep stirring till you have a thick dark mass. Pour into your baking tray and leave to cool. 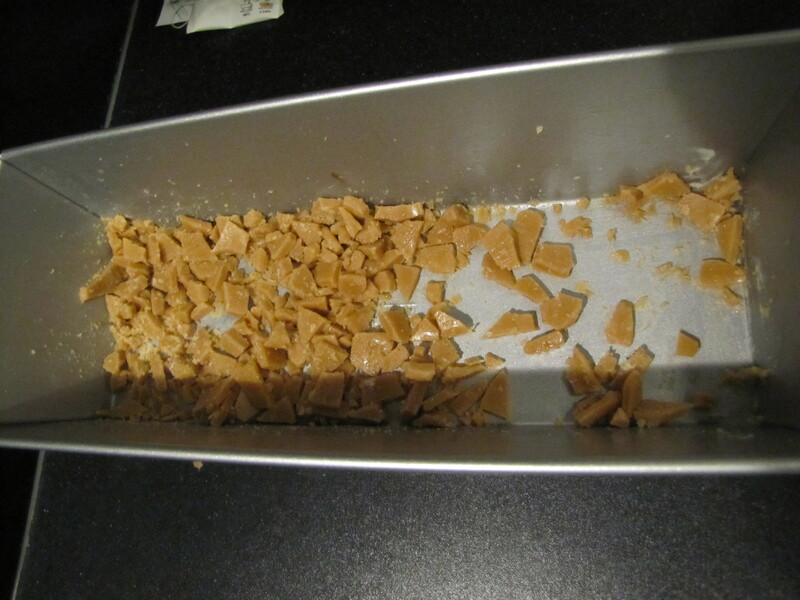 When hardened break the toffee into small pieces and put aside for later. 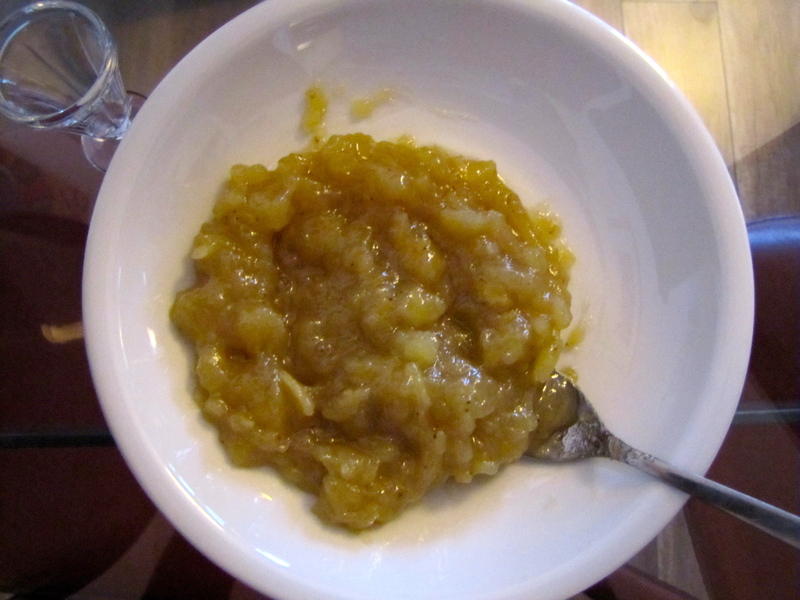 Now for the banana jam, I chose banana but you can add any type of jam you like. You will need about 150 grams of banana or other fruit and between 100 and 150 grams of fine sugar depending on how sweet the fruit is to start with. 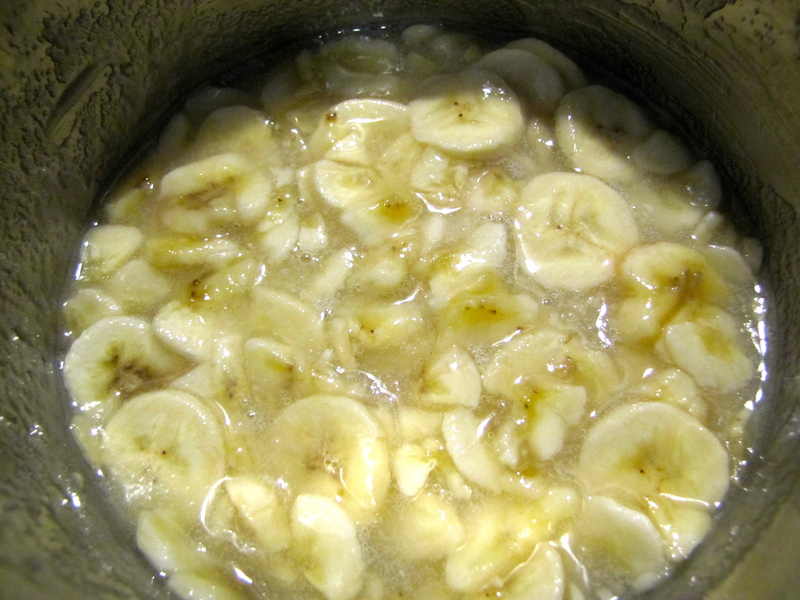 Chop up the banana and add it together with the sugar in a thick based pan. Using low heat, bring to a simmer and leave for 7-8 minutes. Take the pan off the heat and pour into a bowl. Now put in the fridge till ready to use. 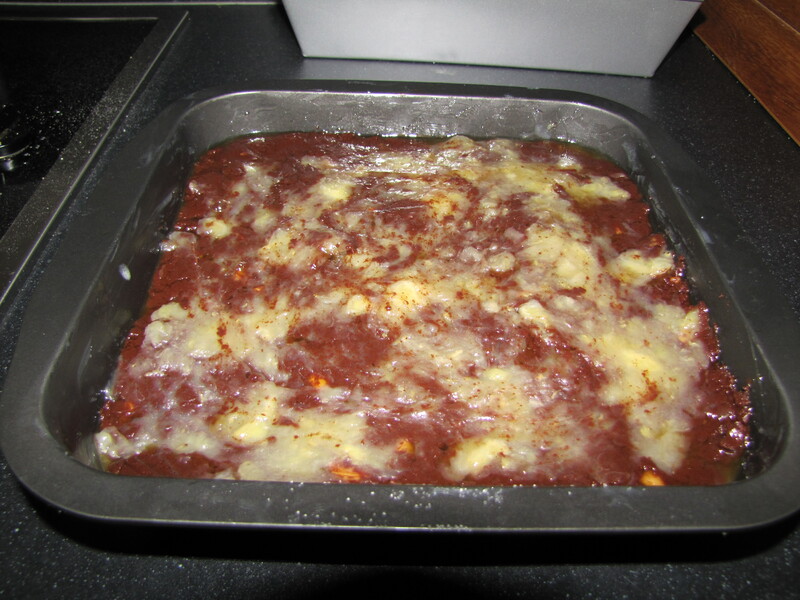 First grease your brownie tray, the book says to use a 22 x 22 cm square tray, and line with baking paper. 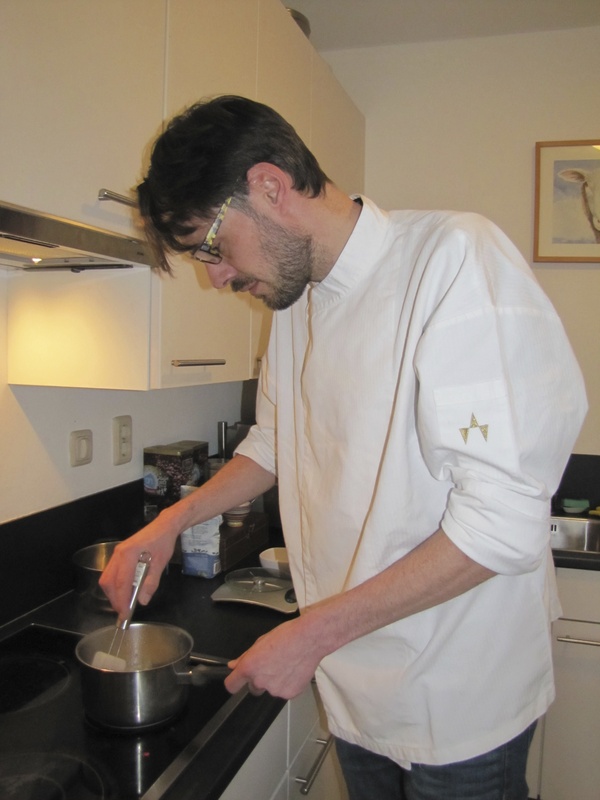 Pre heat your oven to 170C and sieve the flour and the salt into a large bowl. 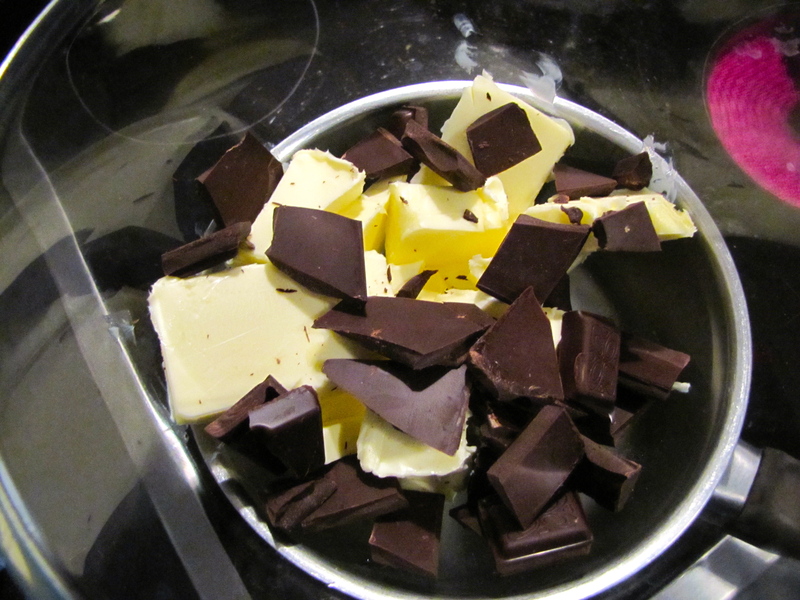 Put the chocolate and butter into another bowl and warm au bain marie till everything has melted and remove from the heat. Do not let the mixture get too warm! Now in yet another bowl mix the sugar, eggs and vanilla essence without adding to much air to the mixture. Spoon this through the chocolate/butter mixture and gradually add the flour till you’ve mixed everything together. 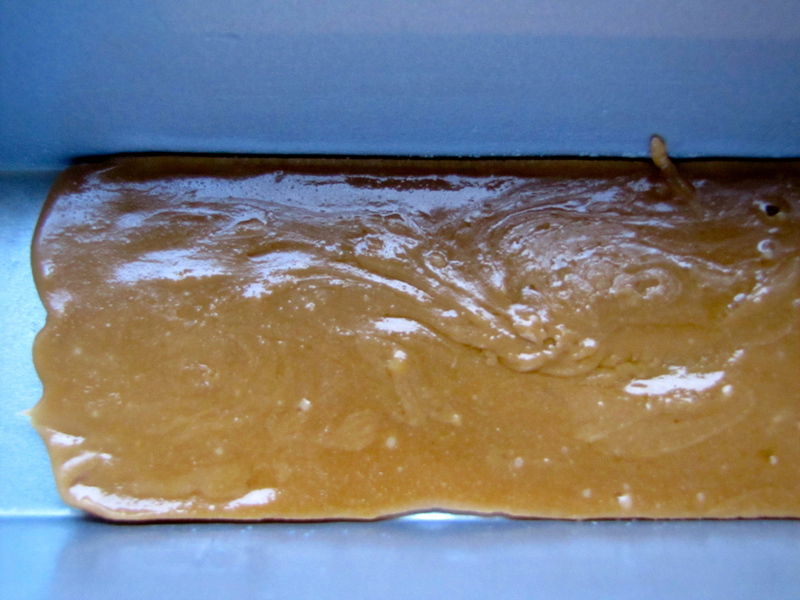 Finally add the pieces of toffee and pour the mix into your brownie tray. To finish off, drip the fruit jam on top of the brownie mix and use a knife to pull it into and through the brownie. Bake in the oven for about 25 minutes, this will depend on your oven but the brownies will be done if the outside has a dry crust and the inside is still a little “wet” You can easily check this by piercing the brownie with a metal kebab skewer, there should be some brownie mix stuck to the skewer when you remove it! Thats it! 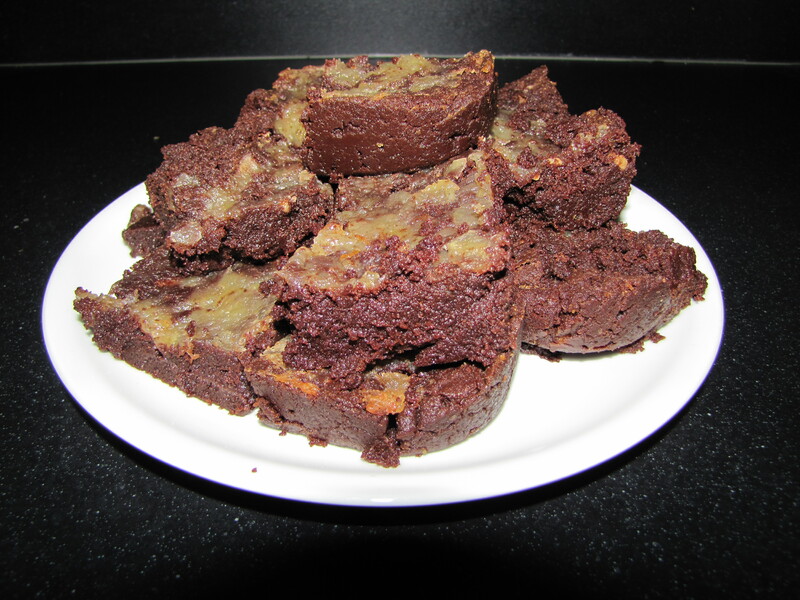 Home made banana toffee brownies, hands down better than any store bought i’ve ever tasted! 7 down 133 to go.